Bandai Namco has announced its lineup for E3 2018. Theater presentations and playable demos are lined up for My Hero: One’s Justice, Jump Force, Soulcalibur VI and Divinity: Original Sin 2 Definitive Edition, Naruto to Boruto: Shinobi Striker, and Code Vein. Based on the popular Weekly Shonen Jump® manga and anime franchise, My Hero: One’s Justice is a 3D arena fighting game that pits 3-person squads against one another in massive environment-destroying, superpower-fueled bouts. 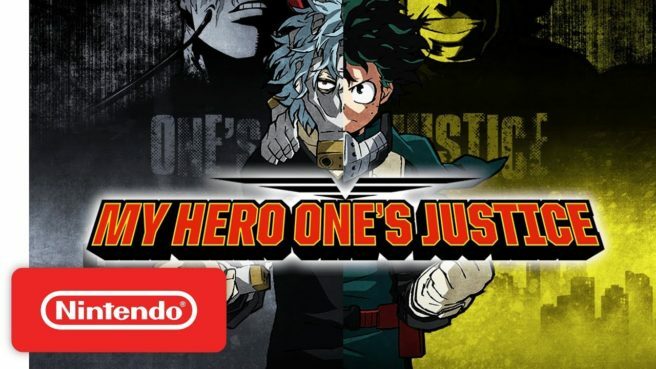 The title features several fan-favorite characters including Izuku Midoriya, Katsuki Bakugo, and Tsuyu Asui, along with Pro Heroes All Might and Eraserhead, and villains like Stain, Dabi and Himiko Toga, engaging in combat in the air, on the ground, or even on the sides of buildings. The action is non-stop and over-the-top. Bandai Namco can be found at booth number 1647 in the South Hall of the Los Angeles Convention Center. E3 2018 takes place between Tuesday and Thursday of this week.